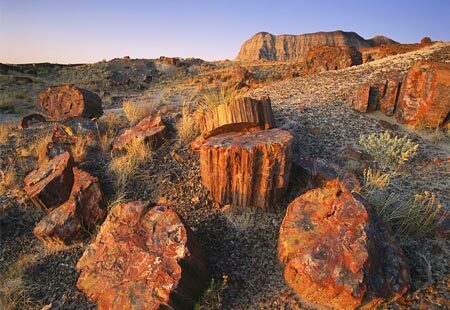 Best location in the USA to see petrified wood, here found in a particularly beautiful range of bright colors. A scenic drive runs through the park, also passing a section of the Painted Desert, several trailheads and many overlooks. 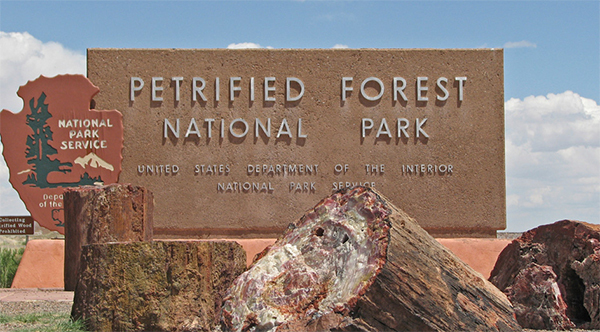 Most of the Petrified Forest National Park’s petrified wood comes from tall conifers. These ancient trees grew more than 200 million years ago along waterways, where periodic flooding uprooted trees.